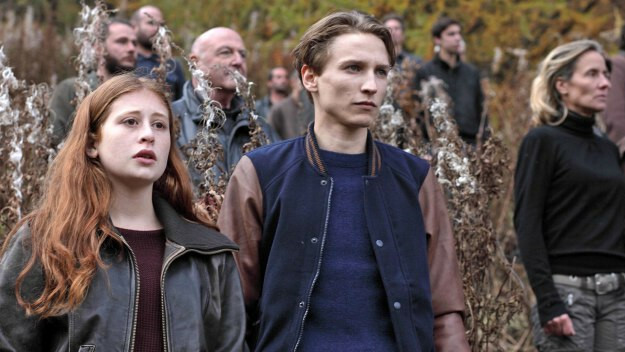 The French horror show The Returned (Les Revenants) was a surprise hit with me, I loved the mysterious, brooding atmosphere and the beautiful locations. Like the film it was based on (that I reviewed here) there were many many questions I had left unanswered when the first season ended. I have now watched season two and while it did solve some riddles it left nearly as many in its wake. As always unavoidable spoilers for the first season. 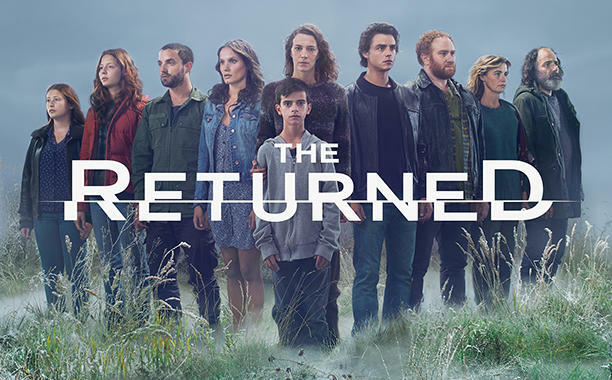 Season two takes place around six months after the season one finale in which the small mountain town was mysteriously flooded and the returned (a large group of dead people who have somehow returned to life) vanished. During that time the army have been called in to help the displaced population as well as work out what caused the flooding, and also to discover what happened to the towns police force who are all missing. Unknown to the residents (and the army themselves who are unaware of the returned) the newly revived are now living in a secluded housing estate that the rising water has cut off from the rest of the town. First off I have to state that season two is another amazing time, it keeps the bleak and moody look while introducing a whole host of new characters, mainly in the form of new returned that includes key people such as Toni and Serge's controlling father, as well as further victims of the tragic school bus crash and more people from the town's troubled past. I was pleased to see all the original actors are back and are just as integral in their roles. It is telling how essential this cast are when many episodes are named after individual characters, as ever the weaving together of past and present to show their importance is expertly done. 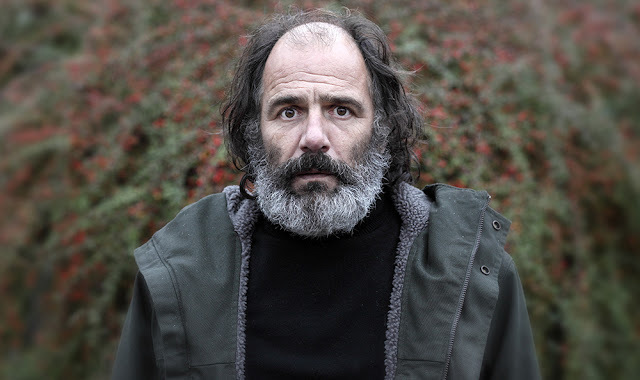 The creepy Victor is my favourite of the returning characters, his ability to manipulate people and his visions make him such a mysterious person. There are plenty of flash backs, usually taking place at the episodes beginning and usually going back 35 years to the time after the dam broke (a very pivotal part in the over arching story). There is more of a focus of what happened to the people during their recovery, especially in the form of a self appointed militia and the emergence of an insidious cult. These additions help the background of the cursed town no end. It is so clever how these flashbacks create sudden shock moments that affect your understanding of events, some even refer back to key scenes throughout the first season. The returned come in two forms; the ones who are able to function relatively normal, and the more zombie like ones who stand about looking ominous. For the first time we even get one of them acting like a proper undead, feasting on the flesh of someone, while hints of more feral ones again bridge the gap between them and movie zombies. There are plenty of antagonists and side plots, some of which are resolved and some which go into truly weird places. Pierre who was a good guy in season 1 has now changed and sees the returned as a threat who must be wiped out, Adele and her dead lover Simon have a really strange sub plot going on, while a lot of the focus is again on the returned Camille and her family. There are a lot of sub plots and all seem just as important as each other. Over just eight episodes we get answers to some of the more bigger answers from season one, even getting an explanation for just what caused all the creepy goings on in the first place, it all wraps up in a finale which creates so many more questions, it was a bit hard to follow at times, like the editors spliced together a load of unconnected scenes. The end of the first season it seemed there had to be a second one, this time I am not so sure. 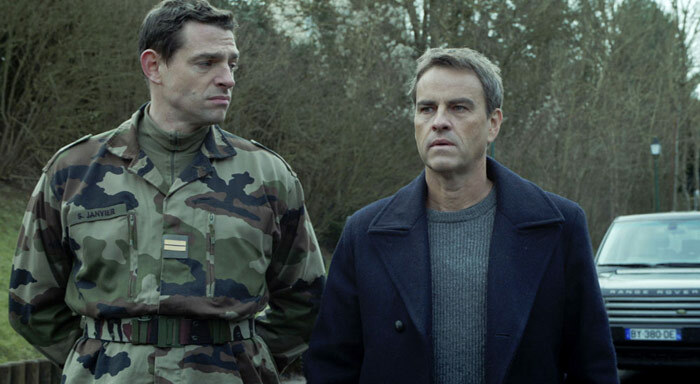 The film was very open to interpretation, the show follows suit and I get the distinct feeling this is the last we shall see of the French version of the show. I have yet to watch the American remake, I really must one day though have heard it is pointless as aside from English speaking characters there is nothing new added, to be honest the French language only helps in creating the surreal dreamlike atmosphere and charm on show here. I did find it slightly disappointing that there was such a mundane explanation for where the undead went to at the end of season one. While maybe not having as much of an impact as the first season this is a strong show, beautiful, mesmerising and clever. This as a whole is so worth a watch, I recommend it as there is nothing else quite like this out there.